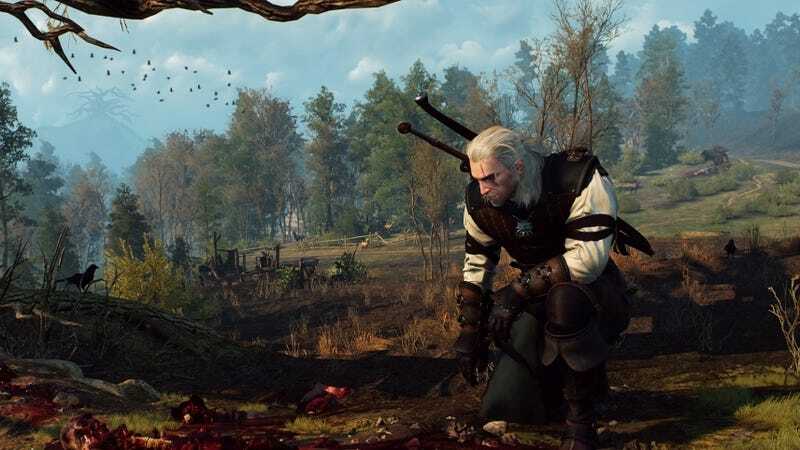 Earlier this year, Netflix announced that it was developing a TV adaptation of Andrzej Sapkowski’s popular fantasy series The Witcher, with Tomasz Bagiński—a veteran of the Witcher video games—on board to produce and possibly direct at least one episode of the show. Now, the project is very gradually moving forward, with Variety reporting that Lauren Schmidt Hissrich will be writing the TV version and acting as showrunner and executive producer. Hissirch worked on Daredevil and The Defenders for Netflix, so she’s already experienced in making streaming adaptations of cool stuff that nerds like. The Witcher stories are about a monster hunter with stylish white hair named Geralt Of Rivia, and even though he’s extremely good at his job and is often the only one capable of saving various townsfolk and kings from whatever horrible creatures are tormenting them, everybody seems to hate him. He can be kind of a gruff jerk, but he’s a busy man. How often are real-life exterminators overly cheery when you call on them to clean out some kind of infestation? Geralt is like that, but with goblins or whatever.